A 6th Year group travelled to Limerick on Tuesday for the U.L. 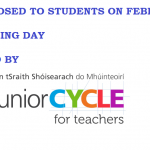 open day and thanks to Guidance Counsellors, Ms Byrne and Ms Carroll, who organised and accompanied the students to the event. Thanks also to Mr Fanning for taking a group of 6th year Maths students to the W.I.T. 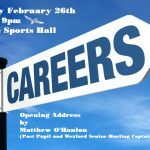 Mathematics week seminar which provides a valuable insight into the practical applications of Maths in many areas of life. An information night was held for the parents of current first years on Thursday night in the school church with refreshments afterwards in the dining room. A large crowd attended and heard presentations from the Principal, Deputy Principal, Year Head and Guidance Counsellor in addition to a talk on a Homework Club initiative by Mr Walker. Mr Michael Byrne, chairperson of the Parents’ Council also addressed the gathering. 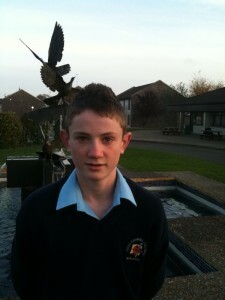 Seamus Sutton, 6th, will represent Good Counsel in a Poetry Aloud recital in Kilkenny on Thursday next. At the event which is being held as part of Poetry Week, Seamus will recite two poems, ‘Le Sacre du Printemps (Concert Interpretation)’, by Siegfried Sassoon, the great British war poet, a poem which deals with the reaction of an aristocratic audience to hearing a Stravinsky symphony for the first time, and a poem by W.B. Yeats,’ Cuchulainn Comforted’, which considers the death of the mythical Irish figure while reflecting on the conflict between cowardice and heroism, life and death, this world and the next. We wish Seamus well. John Walsh, 3rd Year, Leinster 60 x 30 Handball champion. A very busy week on the sports front where pride of place must go this week to John Walsh from Mullinavat who claimed the Leinster U-16 Handball title in 60 x 30 on Wednesday last. In the game played in Carlow, John defeated Brendan Hyland of St. Kierans College. He now goes on to play in the All Ireland Semi Final this Saturday in Roscommon where he will face the Ulster champion. Many thanks to John’s parents for their help with geeting John to the venues and to Mr Leigh O’Brien for his work with all the handballers in the school.Congratulations to John on his achievement and best wishes for further success. 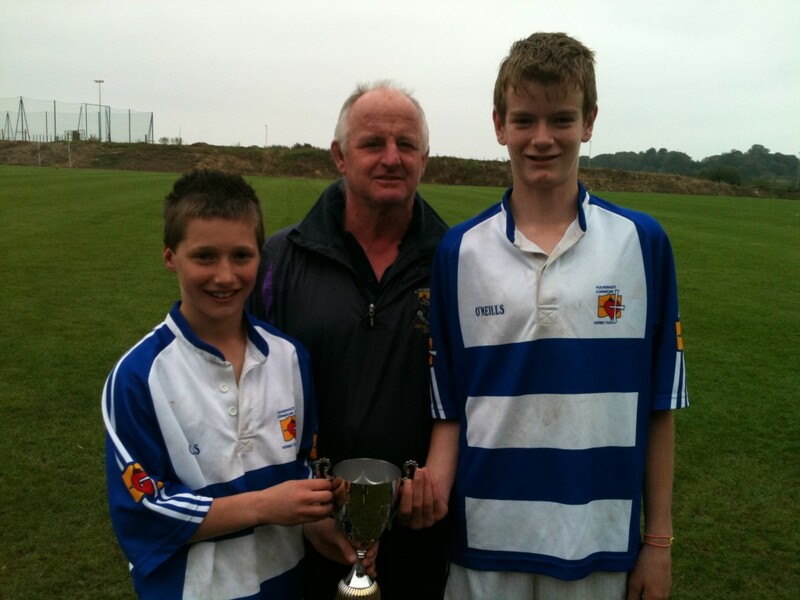 Luke O’Hanlon presents the Keevan’s Cup for 1st Years to Captain, Mikey Dwyer and Vice-Captain, Darragh Joyce. Another significant event which took place this week was the annual 1st Year Keevans Cup football blitz which took place in Pairc Carman, Wexford. An annual highlight on the schools’ calendar Good Counsel were as ever represented by 2 teams and remarkably they both qualified to meet each other in the final. With bragging rights at stake, the game turned out to be a highly competitive affair with a lot of quality young players on show. Well done to all the boys involved and many thanks to Mr Kehoe and Mr Bates for their work with the squads. The U-16 hurlers bowed out of the Fr. Cosgrave Cup on Thursday at the semi final stage when they went down to St. Peters College in a game played in Enniscorthy. In a game of good quality, the superior team on the day won through. Thanks to Mr Walsh and Mr O’Brien for their work with the team through the campaign.